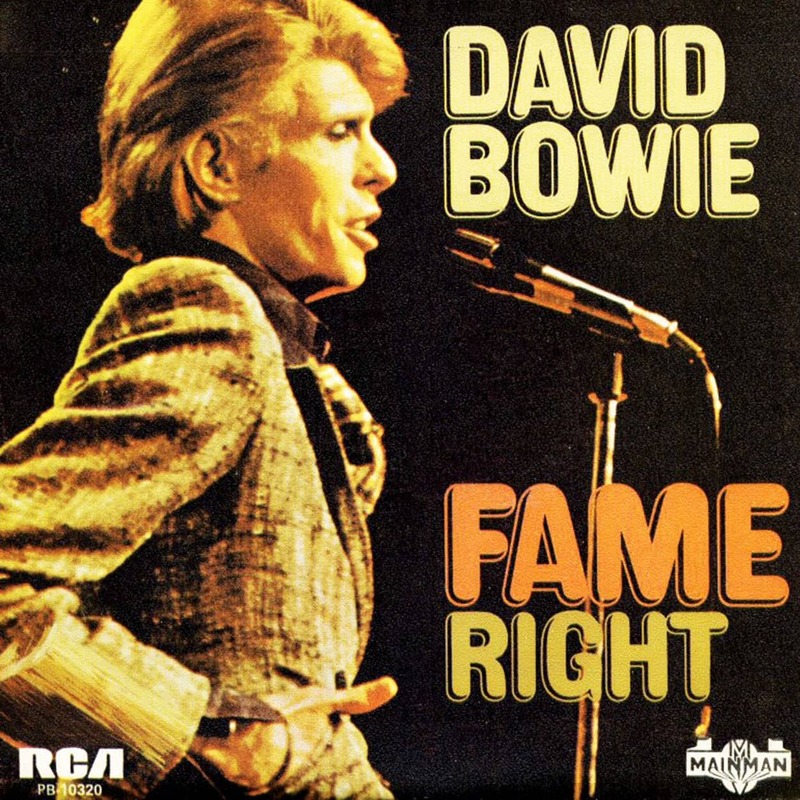 A collaboration between David Bowie and John Lennon, ‘Fame’ became Bowie’s first US number one single. It was a late addition to the Young Americans album, along with a cover version of the Beatles’ ‘Across The Universe’. There was a degree of malice. I’d had very upsetting management problems and a lot of that was built into the song. I’ve left all that behind me, now … I think fame itself is not a rewarding thing. The most you can say is that it gets you a seat in restaurants. Other than that, there’s very little about it that anybody would covet. It’s really not much of a deal. I still have my favourite times when I’m not recognised, or at least left to my own devices. Bowie had first met Lennon on 20 September 1974, at a party at actor Dean Martin’s Beverly Hill home. Bowie had been invited by Elizabeth Taylor, who introduced him to the former Beatle. At the time, Lennon was in the middle of the ‘Lost Weekend’, his 18-month separation from Yoko Ono, which saw him living a chaotic, itinerant lifestyle in Los Angeles and New York. Bowie’s own personal life was barely any more stable, and Lennon became something of a mentor, advising Bowie about extricating himself from his manager Tony Defries, just as Lennon was attempting to do with Allen Klein. We’d been talking about management, and it kind of came out of that. He was telling me, “You’re being shafted by your present manager” (laughs). That was basically the line. And John was the guy who opened me up to the idea that all management is crap. That there’s no such thing as good management in rock ’n’ roll and you should try to do without it. It was at John’s instigation that I really did without managers, and started getting people in to do specific jobs for me, rather than signing myself away to one guy forever and have him take a piece of everything that I earn—usually quite a large piece—and have him really not do very much. So if I needed a certain publishing thing done, I’d bring in a person who specialized in that area, and they would, on a one-job basis, work for me and we’d reach the agreed fee. And I started to realize that if you’re bright, you kind of know your worth, and if you’re creative, you know what you want to do and where you want to go in that way. What extra thing is this manager supposed to do for you? I suppose in the old days, it was [in a hokey New York voice] “Get you breaks!” (laughs). I don’t quite know what managers are supposed to do, even. I think if you have even just a modicum of intelligence, you’re going to know what it is you are and where you want to go. Once you know that, you just bring in specific people for specialist jobs. You don’t have to end up signing your life away to some fool who’s just there kind of grabbing hold of the coattails. Their shared disaffection fed directly into the lyrics of ‘Fame’. After meeting in some New York club, we’d spent quite a few nights talking and getting to know each other before we’d even gotten into the studio. That period in my life is none too clear, a lot of it is really blurry, but we spent endless hours talking about fame, and what it’s like not having a life of your own any more. How much you want to be known before you are, and then when you are, how much you want the reverse: “I don’t want to do these interviews! I don’t want to have these photographs taken!” We wondered how that slow change takes place, and why it isn’t everything it should have been. I guess it was inevitable that the subject matter of the song would be about the subject matter of those conversations.